Jay’s take: Whoa. 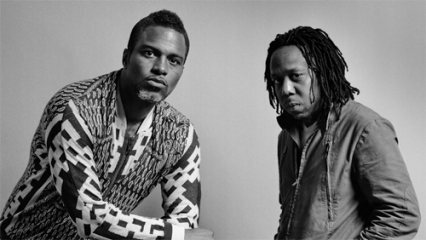 Where did Shabazz Palaces come from? It has only been a year since they’ve emerged onto the scene, and in that time have managed to subtly and fundamentally stretch hip-hop and dubstep to their exaggerated conclusions; expounding on beats and soundscapes while spitting venom-filled, staccato-infused lyrics hazily above the vibrations. And while Tyler and his boys in LA are busy being generally controversial, Palaceer Lazaro would rather be left alone, quietly releasing material into the world via their website. Notoriously reclusive, Lazaro (initially) refused an interview with Pitchfork, sending only a band promo image to include with an article about their album announcement. All of this might seem pompous or even elitist. Fortunately, their actions seem justified. Shabazz Palaces deliver incredible verses and beats, one after another, the whole album through. It’s so great that listeners will barely care that Lazaro is none other than Digable Planets’ Ishmael “Butterfly” Butler. Black Up is a deceptively simple title to an album filled with sentence-long song names and tracks climbing over the four-minute mark. Upon first listen, Shabazz Palaces can be generally off-putting if you don’t know what to expect. The album is mesmerizing in the same way Things Fall Apart is one of the most gripping, excellently crafted, albums The Roots have made. The effortless nature heard in song movements and noise manipulations shows how meticulous Butler can be with even the tiniest of details. In the eventual Pitchfork interview, Butler wouldn’t name anyone associated with the band, and it sounded like he would’ve been happier if no one knew that he was involved. Butler is a man deeply invested in his craft and it shows on every inch of Black Up. It’s extremely difficult to analyze individual songs from Black Up. It’s not a ‘singles album’, and probably sounds best when heard uninterrupted from beginning to end. 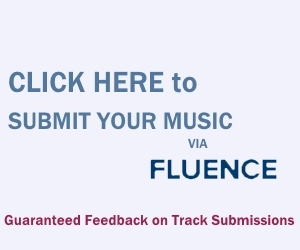 “Recollections of the wraith” is an intricately structured track. About two-thirds in, it combines the male and female vocals featured in the previous six tracks. The verses are singularly disjointed by the background melodies. Interestingly, the roles are reversed on the following track, “The King’s new clothes were made by his own hands”. Here, the beats take a definitively sharp and erratic turn into a synthesized territory. Backtracking for a moment, the second track on the album, “An echo from the hosts that profess infinitum”, was released as a single and served not only as fleshed out example of the band’s thought-out lyrical style, but it also showcased their eerily haunting musical techniques. Beyond these sparse examples, I suggest listening to the album through to find your own memorable beats, lyrics, or a combination of both. Henry (Adam Scott), in Showtime’s (cancelled) Party Down, is given some advice when working as bartender during a funeral: “Love is like a crock pot; it simmers, at a low heat, for a long time. Fireworks fizzle. You seem like a crock pot.” Black Up is definitely a crock pot. It never reaches extreme highs and lows (i.e. Goblin, I AM JUST A RAPPER), instead staying consistently interesting, entertaining and engrossing. And that seems like what the group was going for. At this point, it’s still hard to tell what they think at all. Like many contemporary musicians who choose artistic experimentation over fanatical standards, Shabazz Palaces will likely be labelled as self-indulgent and pretentious (the secrecy thing really only worked for Gorillaz). In the end, though, it’s worth it. It’s totally worth looking past the musicians and listening to the music and hearing every little production choice and mixing decision. It all adds up to a layered, cohesive, deconstructive, and innovative hip-hop record that might be one of the best of 2011. Mike’s take: Shabazz Palaces live up to the expectations of their earlier EPs, producing an excellent album that plays like a slap in the face to the stylistically linear hip-hop prevalent today. In “Are You…”, a jerky key tremolo and several percussive halts lead up to a warbly synth, one example of the extremely strong songwriting. Another highlight, “Youology”, almost plays like a procession in space, with heavily distorted synths slowly overlapping with percussion and brass stabs influenced by jazz and dubstep. The soulful minimalism on “Recollections of the wraith” pushes forth a suavely subtle bass line under pitter-pattering, fully showcasing the spoken-word potential of the group (which Digable Planets fans are already well familiar with). It’s not without a stellar hook though, present in a chorus that only fully reveals itself in the final seconds. Just wait for it though; the beautiful thing about Black Up is the brilliant developmental aspects – both rhythmically and conceptually – of their songwriting that gradually overlap to produce something very special. Jay said it best above; this is one of the superior hip-hop releases of 2011.